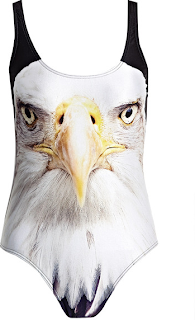 When I saw these, I thought these are must-have the funniest bathing suits I've ever, almost seen. And surprisingly enough, many of the suits I was going to show you guys, were SOLD OUT. So if you want to the "purrrrrfect" bathing suit this summer, I guess you might wanna buy one of these babies, er kitties, asap! PS. The suit above is not even being sold anymore either! #1. 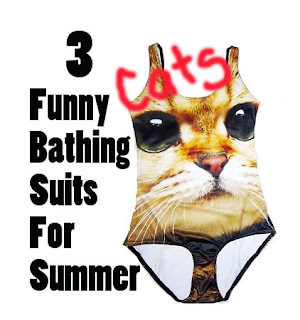 The Nice Kitty Swimsuit - maybe you could nickname your suit, Snowball? 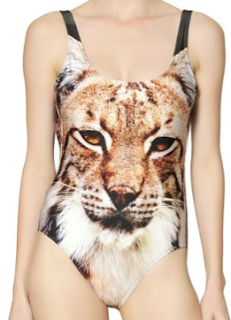 But, sadly this ASOS Cat Bathing suit, is SOLD OUT! #2. The Wild Cat Suit - even Rihanna liked this feisty feline suit! They do make this WILDCAT SUIT, that sells for $297! 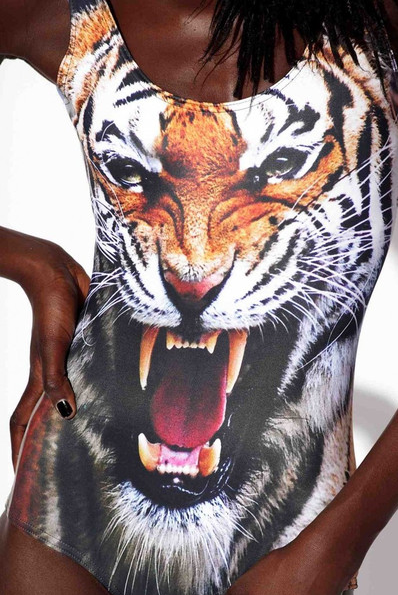 Get your Tiger Catnip out with this saucy suit from BLACKMILK. And no, it's just not a "rawwwwwr" in the front, scare people coming and going in this baby! Get ready for at cat-tastic or eagle-riffic summer of suits! 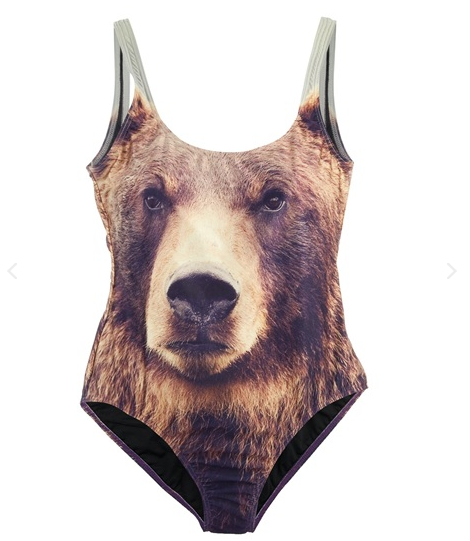 My thought is, no one will notice any "out-of-shape-ness" if I wore a crazy suit with a wild animal face on it, they'd totally be distracted by the animal face, right?! 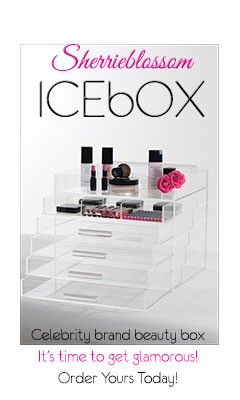 QUESTION OF THE DAY: Do you love these or do you think they are crazy?!? Ps. My video for How To Tie A Bandana 2 Ways will be up tomorrow!